I love reviewing children’s books because they are the one thing that bring back beauty, fun, and good, old-fashioned excitement. This book is a new one that parents will love sitting and reading to their kids. Teens are not the only ones who are ‘into’ the mystical realm - younger kids love it too. And with the absence of Potter, they’re not getting many mystical books now. This book, of course, is a great deal smaller than Rowling’s offering, however the fact that we are looking for mermaids on a beach is a lot of fun! The author and illustrator use anime as well as real photographs of children looking around the beach in all niches and crevices in order to find those mystical little mermaids that hold magic in their hearts and souls. 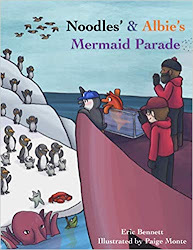 From leaving petals of Queen Anne’s Lace as an offering for the mermaids, to imagining the hard-to-get sea creatures playing tag in the coral reefs with their best-buddies, the seahorses, that dwell there, each page is an adventure that you and your kids will love. So take a look at the inner-workings of the ocean. Listen to the sounds of whispers in the conch shells, and search for that spark of glistening water that will point the way to making friends with the magical mermaids! And…enjoy! Quill Says: A true delight for both children and parents. Remember playing ‘I Spy’ with your kids in the car? That was fun! (Way more fun than picking up a cell phone and scaring the rest of the drivers to death, by the way). Well this book, a small board book that offers young children a way to look at the vibrant colors of this world, brings back the fun of teaching and reading with your little ones! As Chester Raccoon walks through his forest world, he starts spotting those beautiful colors of our rainbow that, without them, would just leave us with a black-and-white boring world. From yellow balloons floating through the air to the most beautiful cornflower blue petals in the woods, every color is accounted for. Kids will have a ball picking out the colors they love the most! The illustrator has done a beautiful job offering pictures of Chester and his friends that will make your kids laugh out loud. And the author has gone back to the A, B, C’s of learning so that your young ones can really soak up and enjoy the rainbow that will forever follow them through their magnificent futures. Quill says: A small book with a whole lot of beauty! Okay…everyone’s waiting for this one and very soon, come August, you’ll have it! So…let’s give you a little heads-up on what you’re about to delve into, shall we? The Nightshade trilogy by this author took readers into a paranormal world. Oddly enough, it was unlike ALL the other paranormal series’ out there. Which, number one, is extremely difficult to do because there are a TON of them. But with this book, fans AND non-fans of the series will have something to talk about because the author has offered a PREQUEL to the trilogy and went out of her way to make sure it was different, cool, classic and with characters that you not only idolize but actually want to be. In Rift we begin with a nobleman’s daughter. And boy, does she wish she was a boy. Ember is the girl who wants to fight. She wants to ride horses, become a warrior, be valiant, use a sword, etc. Her sister, Agnes, is the one who she wants to take over the ‘girlie’ part of the family. After all, Agnes loves gowns and is actually only a month away from sailing to France and being married off, which she wants to do…maybe. When Ember was born it was a hard birth. In fact, her mother was basically going to die during the delivery. What happened was that Mom was given magical help and her soul was saved. The price? One soul for another. When Ember turns sixteen she is to be taken by the Conatus. This a very cool order that was a split-off from the Templar Knights (the ones who the Pope disbanded and then proceeded to kill). The Conatus pretend they are supporters of the Church when the Abbott is around, yet the villains they fight are more, shall we say, mystical creatures who are trying to take over the land. When Ember is taken there - escorted by her best childhood friend who has far more than friendship in mind for their future together, she also meets up with another member of the Elite Guard - named Barrow Hess who will soon become her mentor…not to mention the man she wants with her whole heart and soul. The battle begins as the Conatus find that young Ember has more power and natural ability in her pinky finger than most of the guard have in their whole body. And she will become part of a group that may or may not end up liking each other and supporting each other when all the dangers and villains of the world descend. Quill Says: Read it! Again, if you love Nightshade you’ll be over the moon. If you’ve never read the Nightshade series, this Prequel will have you running to get them! Judy Bolton is a fifteen-year-old who knows what she wants - and she's not afraid of anyone, or anything. In The Vanishing Shadow, the first book in the Judy Bolton series, we meet Judy, her older brother Horace, and several other characters who we will see in other stories. When the tale opens, Judy is lamenting the fact that her parents have gone away on vacation and she and Horace have to stay with her grandmother in boring old Dry Brook Hollow. Judy would much rather be home in Roulsville, but she's stuck and has to make the best of it. Because Dry Brook Hollow isn't far from Roulsville, Judy knows many of the people around town. While talking to Edna Jenkins, the storekeeper's daughter, the pair overhear two workman arguing. The bigger of the two workman, the one who was clearly in charge, sees Judy and Edna and tells them to keep quiet and forget about what they just saw/heard. Both girls agree, but inquisitive Judy will soon be up to her neck in the dangerous dealings of the workman. While sitting alone in a beech grove, trying to read one of the books her father left her, a shadow crossed the page. Judy looks around but can't find anybody. Trying to read again, the shadow once again passes across the page and Judy looks up just in time to see the bushes part. Without much thought, Judy jumps up and follows the path of the person who had just been spying on her. But it was a foolish action because that person soon gains the upper hand when he kidnaps Judy and briefly imprisons her in a small, abandoned building. After a frightening night alone in the abandoned building (really more of a room), Judy's captors return and convince her to make an unfortunate promise. Once the promise is made, they release Judy, but now she must solve the mystery of what these men were doing without breaking her promise. She soon learns the truth and realizes that it involves the local dam and could kill many townspeople. Will she be able to stop these men in time to save the lives of many people? Originally published in 1932, The Vanishing Shadow is a good, wholesome teen mystery "like they used to write." The writing is solid, and while some of the words and phrases may be a bit outdated, the book offers an excellent opportunity for readers to expand their vocabulary and learn a bit about what life was like back in the 30s (for instance, while many travel by car, Judy rides her rather unruly colt all around town). There are a few holes in the plot that some readers may question, the biggest being why Judy would not tell any adults about the evil plot, just because she made a promise to the culprits. Surely, with lives at stakes, breaking a promise to a criminal is allowable. Otherwise, however, this is a nice introduction to the characters who make up a YA series that sold millions of copies during its heyday. Quill says: A few plot problems but don't let that keep you from getting hooked on the Judy Bolton series. The beginning of this particular novel is the tale of the Trail of Tears, the forced relocation of Native American nations from the southeastern U.S. across the country. We begin with a woman who has become obsessed with that story. The reason? She has purchased an old - almost-falling-down farmhouse in rural Illinois. Professor Karen Caffrey discovered something very unique during the restoration of this old house - painted murals found under layers of wallpaper. These murals depict some very odd Native American scenes, including those of faces staring out windows and frightening blackbirds in the trees. Emily Lord Braun was the woman who owned this farmhouse back in the 1800’s. Emily had many secrets, from her time at the Wolcott Female Academy in Litchfield, Connecticut to her Illinois life, and Emily kept diaries of the twists and turns she lived through. This diary is still in existence…but a few very important pages have gone missing. When Karen has an accident, her sister Rose shows up to sell the house and tie up any loose ends that she needs to in order to put this horrible event in the past. But what she finds when she gets to Anna, Illinois scares her to death. From a Braun family member who has become an eerie stalker, to the murals, to the restorer by the name of Alex Hague who her sister had paid to uncover the murals and find out more about them…everything seems to be a mystery set upon another mystery. Although Rose originally doesn’t care about the murals or the work her sister had done before having her ‘accident,’ she soon finds herself just as obsessed with Emily Braun. The obsession grows when she learns that Emily Braun’s body is not in her marked grave at the 1836 Trail of Tears Camp Ground Cemetery. The quest for a seriously huge treasure from the 16th century is the part of the story that had me absolutely riveted. But from the word ‘go,’ readers will be very intrigued as they learn the step-by-step of how a 19th century Illinois farmhouse fits in with an historical event of mammoth proportions. The cover fits the book to a ‘tee.’ When readers look at this one on the shelves, they will be as drawn to that abandoned farmhouse as they were the Bates Motel! For the historical context and the strength of Emily Braun, this book is a mystery that I won’t soon forget. Quill Says: This book is the author's first stand-alone mystery and she does a fantastic job of writing and characterization. Previously, she has written the Leigh Girard Mystery Series. Good luck with this new addition to her accomplishments. Nine-year-old Emanuel Aguilar smiled as he helped his father load up supplies for one of New Bedford’s many whalers. Waterproof boots hung from the rafters, a shovel nestled beside the doorway, and assorted provisions were in barrels that lined the walls of his father’s store. New Bedford’s harbor bustled with activity as men loaded supplies on their ships, ships that would soon leave “in search of whales whose oil was used to make candles and to light the lamps in the days before electricity.” Emanuel yearned for the life of a seafaring whaler, but his father discouraged his dream claiming the life of a merchant was safer. Captain Henshaw became animated as he regaled his small audience with tales of the sea and the elusive whales. Emanuel’s eyes grew wide and he clutched the store counter in awe of the man. Papa always seemed cautious and even when it was time to light the Shabbat candles, he did so behind closed doors. Jews had kept their religion secret in Portugal, but why did they hide in New Bedford? Emanuel decided to escape during the night and set sail with the Captain, but an unexpected storm began to brew. The seas decided to capture the ship and Emanuel’s dreams. Was there anything that could save them or would they perish at sea like so many others before them? This is an exciting, historical tale of young Emanuel and the lessons everyone learns from him. Although this tale is fictional, we get a glimpse of the whaling history of New Bedford, Massachusetts and the Jews who “emigrated from Portugal.” In the front of the book is a brief history of the group, including the fact that many became merchants. The tale, seen through young Emanuel’s eyes, quickly picks up and will thrill the young reader as he embarks on his adventure. Embedded in the story the reader will learn about Hanukkah and it’s importance to the Jews. The twist at the end of the story is heartwarming, something that both young and old will enjoy! Quill says: This thrilling tale of a young boy's seafaring adventure will excite its young audience! Tommy played quietly outside Ms. Anderson’s room on the playground while two boys whispered and pointed at him. It was recess and while the other children happily played in groups, he tossed his tennis ball against the wall. Two boys approached him and he wanted to shrink as they teased him saying, "Speak up, Tommy...you talk funny." Yes, he did and he also didn’t understand some of the things Charlie and Josh said to him. For one thing, his real name was Tomer, which meant "palm tree." He could stand tall in Israel, but he felt like hiding in this strange place. When reading circle began, things were even stranger and more uncomfortable. Tommy’s eye’s widened in confusion as he looked at the words on the page. "Would you begin, please, Tommy?" It was hard for him to pronounce the words, especially when "the 'r' sound rolled and trilled as he read." When he sat at his desk to practice his letters, Josh teased him when he traced them with his finger. They were nothing like the "Aleph, Bet, and Gimel." All of a sudden the classroom door opened and Officer Sweeney and his dog, Samson came in. There was something very special about Sampson, but would he be able to help Tommy? Would Tommy be able to help him? This is a heartwarming story of Tommy, an Israeli immigrant who finds a bit of home in a police dog. Many children like Tommy, whether they are immigrants or simply have moved to another school, often find it difficult to blend in with others. If a child is perceived to be 'different,' it makes adjusting even more worrisome. Stories like this one can be shared during circle or story time in an attempt to make other children understand and help in the transitioning. The charming artwork subtly captures Tommy's emotional distress and the discomfort of his new classmates. This would be an excellent book to add to any library or classroom shelf. Quill says: This is an excellent book to have on hand when new students come into a classroom, especially those who have English as a second language! Holiday times are festive times and it’s the perfect time to get your children involved. Creative cooking, crafting, and sharing ones heritage is the perfect way to create fun and memorable family traditions. Need something to put that cookie sheet on while they are cooling? No problem because you’ll find the directions for making a simple hot plate. How about something to hold your trail mix after you whip up a batch? The crafting section of this book has some nifty origami cups to put it in or, if you prefer, these can be used to play dreidel. Young aspiring cooks will not only learn to make typical Hanukkah fare such as latkes or sufganiyot, but also new things that give the holiday season a bit of modern flare. For example, in preparation for the Rosh Chodesh twilight supper, the more experienced cook could whip up a batch of Tex-Mex latkes for a change. Mouthwatering recipes are presented throughout this book for several occasions from the informal brunch and pajama party to the more formal Shabbat dinner. Quill says: If you want to liven up your Hannukah celebration, this is the perfect book to help your children join in on the fun! Here's a sample of the books that have come in over the last several days. Check them out and then stop by in a few weeks to read the reviews. Mixed Blessings by Cabot Barden Mixed Blessings is a work of fiction. It is the story of Toby Martin, a young musician who plays in a pop band in the seventies. As Toby reaches manhood, he discovers that life is not all fun and games like it was when he was just a teen. The book explores his triumphs, tragedies, the heartaches and high points in his life, and his test of faith, as he matures and tries to balance his music career with being a responsible young adult and family man, living in a small southern town. From the first chapter when his band opens for one of the hottest rock bands of that era, to seeing his best friend go from a tragic loss to finally finding happiness, along with experiencing his own loss of a loved one. He and his two best friends, Corey Gable and Fred Litton, who refer to themselves as the Three Muskyteers, experience life at it's fullest. Come join Toby and his friends for this ride of their life through the seventies. The Take-Charge Patient: How You Can Get the Best Medical Care by Martine Ehrenclou Frustrated or confused about how to get good medical care? In her newest book, The Take-Charge Patient: How You Can Get The Best Medical Care, (Lemon Grove Press, on sale May 15, 2012) award-winning author and patient advocate, Martine Ehrenclou, empowers patients to become proactive, well informed participants in their own care. With advice and personal stories from over 200 doctors, nurses, pharmacists, health psychologists, patients and more, The Take-Charge Patient reveals insider information on how to cut through the red tape and navigate today’s complex health care system with confidence. Ehrenclou empowers readers with vital information on how to find the right doctor, how to communicate effectively with doctors, how to prepare for medical appointments, prevent medical errors and medication mistakes, obtain discounted medication, manage your health insurance, and much more. The Take-Charge Patient will forever change how you act as a patient and thereby vastly improve the quality of the medical care you receive. Six months into her research for The Take-Charge Patient, Martine Ehrenclou developed debilitating, chronic pain and used every strategy in her new book. She went from author and advocate for others to an advocate for herself and became a take-charge patient. After eleven doctors failed to diagnose her correctly, Martine found her own diagnosis and the correct surgeon to treat her. She is now pain free. According to Ehrenclou, your health care is a team sport. The Take-Charge Patient shows you how to take charge of what you can and become an effective player. Martine Ehrenclou has also written the multiple award-winning Critical Conditions: The Essential Hospital. Guide to Get Your Loved One Out Alive (Lemon Grove Press). Ehrenclou writes monthly articles for several health websites, national magazines, and is interviewed regularly on national TV and radio such as ABC News, ABC World News, Woman’s Day, Family Circle, Los Angeles Times Magazine, Publishers Weekly, and many more. She frequently lectures on how to be an advocate for yourself and your loved ones at universities, hospitals and various organizations. Journey Around New York from A to Z by Martha & Heather Zschock A perky pigeon guides explorers of all ages on a beautifully illustrated tour of New York City, pointing out fascinating facts and fun sights along the way. Incarnation by Emma Cornwall In the steampunk world of Victorian London, Lucy Weston, a character in Dracula, seeks out Bram Stoker to discover why he deliberately lied about her in his popular novel. With Stoker’s reluctant help, she tracks the creature who transformed her from the sensual underworld where humans vie to become vampires to a hidden cell beneath a temple to madness and finally into the glittering Crystal Palace where death reigns supreme. Haunted by fragmentary memories of her lost life and love, Lucy battles her thirst for blood as she struggles to stop a catastrophic war that will doom vampires and humans alike. Ultimately, she makes a choice that illuminates for her—and for us—the true nature of what it means to be human. The Vanishing Shadow: A Judy Bolton Mystery by Margaret Sutton In the first book of this mystery series, Judy Bolton is resigned to spending several boring weeks at her grandparents' farm near Dry Brook Hollow. Her summer suddenly becomes interesting when she overhears some men talking about the Roulsville dam. Although, Judy does not understand the conversation, the men fear that she does and threaten her. Judy also becomes reacquainted with her childhood friend, Peter Dobbs, who gives her a cat that she names Blackberry, and meets the wealthy siblings, Arthur and Lois Farringdon-Pett. As the days pass, Judy learns that the Roulsville dam is cracked and may break during the next rain. The moment of truth arrives when a torrential downpour threatens the dam and Judy must rely on her seemingly cowardly brother Horace to warn the people of Roulsville of the danger. All Judy can do is hope that the dam holds long enough for Horace to warn the townspeople in time. City of the Dead by Daniel Blake The woman who contacted Franco Patrese was the ultimate New Orleans society belle: beautiful, seductive, cunning, and, in this case, desperate. The personal assistant to the city’s most powerful man, she had to meet Patrese in secret. Fearful whispers of “sacrifices” were all Patrese could glean; she didn’t live long enough to tell him any more. Patrese had come to New Orleans, buffeted by the winds of fate, bearing a pain that cops know too well. His native Pittsburgh was still in his bones, while a disaster on a tropical island had shaken his soul. In the thick, hot, exotic world of the Crescent City he began to come alive again. But now he cannot afford to be the new guy, the guy on the outside looking in. A second body has been found, just like the first: Dismembered. A snake, an axe head, a mirror. And blood. A whole lot of blood. A Traitor's Loyalty by Ian C. Racey It is 1971, twenty-five years after Germany’s victory in the Second World War, and Hitler has just died. Four years ago, Simon Quinn walked away from a brilliant career with MI-6, the British Secret Intelligence Service, but now, MI-6 has blackmailed him into returning to Berlin. His mission: locate Richard Garner, a British spy who has disappeared and is suspected of defecting. He enlists the help of Ellie Voss, a German woman who opposes Nazi rule but still considers herself a German patriot. Soon, Ellie finds out Quinn’s secret: that he was born in Germany, not England, and that his family fled to London soon after Hitler came to power--because they were Jewish. No sooner do the two of them find Garner than he is assassinated by British operatives who have been secretly shadowing Quinn. Quinn discovers a startling truth-- why Garner went into hiding. A secret treaty between Britain and Germany is about to be signed, which will end the Cold War by making Britain a German satellite state. Pursued by both the Gestapo and MI-6, Quinn and Ellie’s only hope of stopping the treaty is to get news of it to Reinhard Heydrich, a powerful Nazi angling to become Hitler’s successor. But that means Quinn will have to come to terms with the fact that he is helping to become ruler of Germany the man who was essentially the architect of the Holocaust. Hard Target by Alan Jacobson An enigmatic covert operative. A skilled FBI agent with a dark past. And a terror plot unlike any in history... An explosion pulverizes the president-elect's helicopter on Election Night. It soon becomes clear that the group behind the assassination possesses far greater reach than anything the FBI's Joint Terrorism Task Force has yet encountered—and a plot so deeply interwoven in the country’s fabric that it threatens to upend America's political system. But as Department of Defense covert operative Hector DeSantos and FBI Agent Aaron “Uzi” Uziel sort out who is behind the bombings, Uzi’s personal demons not only jeopardize the investigation but may sit at the heart of a tangle of lies that threaten to trigger an international terrorist attack. We begin our tale sitting on board a ‘special’ shuttle that is bringing supplies into outer space. No, this is not Apollo 13, or a Star Wars wannabe - the people on board the shuttle Galaxy are as normal as the rest of life on Earth. This is the new space program that has replaced the historical NASA program, and Commander Jonathan Raney - who has been in service for thirteen years - is taking the reins and heading to the first of five space stations that has been built to deliver supplies: Space Station Able. While the mission is going well, out of the blue a red light begins to blink on the control panel and the Commander can feel a tingling sensation. Not knowing what it is, he speaks with Houston Space Center and they begin a full-systems check to try and fix any problem before it becomes a major problem. Unfortunately, the problem gets far larger and the people on the Galaxy find themselves in serious danger - floating out in space with no way of getting home. Inside the shuttle is Larry Ballard, Flight Engineer; Joe Gibson, Captain and Co-pilot, and the Commander’s best friend; Kitty Fairing, Communications Officer, who is married but has no desire to stay in the dull and lifeless marriage; and a Cargo Officer named Milt, who likes to keep people calm and is extremely endearing. Because the group has to rely on each other for support, help, a shoulder to cry on, etc. - the personal lives of each one of the characters begins to appear, causing more than one rift in their well-built relationships; especially the Kitty-Joe-Jonathan love triangle that soon rears its ugly head. However, instead of finding the certain death that they expect, the crew find themselves waking up in a new shuttle surrounded by a new crew going to a new planet; apparently they are headed to Earth’s ‘twin’ which is located on the other side of the Sun in the same orbit as Earth which is why it has stayed hidden for all time. The ‘twin’ is called Kaldea, and the Kaldeans are just like normal humans except for the fact that they live in a much more advanced society. As the crew of the Galaxy get appointed Kaldean guides to help them and watch over them, the Commander soon finds out that they have walked into rather unfriendly territory and he must find a way to get his crew safely free from these new ‘people’ before they get locked into an all-out war. As the author blends paranormal/science-fiction with a bit of romance and serious personal issues between the crew, the reader will find positives and negatives throughout the book. (i.e., the seductress, Lani, is a highly interesting character, although some may find Kitty more than needy and a little annoying at times.) All in all this is a solid plot with sub-plots of drama, passion and romance to keep even the non-sci-fi lover intrigued. Quill Says: An interesting look at a civilization, technology and points of view that are becoming more and more real in our daily lives. It’s time to get excited and to get to Nashville for the first ever UtopYA Con, which is the convention for female, paranormal/fantasy young adult authors and readers who love them. It will be held at the Scarritt-Bennett Center in Nashville, TN on July 6-8, 2012. Would you like to come? You’re already excited we know, but wait until we tell you who’s coming (and this is just a few)… Myra McEntire (Hourglass and Timepiece), Angeline Kace (Descended by Blood), Amy Bartol (The Premonition Series), Tammy Blackwell (Timber Wolves), Tiffany King (Saving Angels), Abbi Glines (The Vincent Boys), Ella James (Stained), Jessica Sorenson (Fallen Star), Amanda Havard (The Survivors), the creators and cast of Auror's Tale, and so many more! You can find the full list at the UtopYA Con website. Chelsea Fine (Sophie and Carter) - “Don't miss out on UtopYa Con 2012: Bringing your YA books to life!" But it’s not just for fans, it’s for authors too. Learn the tricks of the trade from people who are there, doing it successfully already. There are sessions and panels for both readers and writers alike. So how about it? You wanna go? Well obviously you do, but here’s the question… ARE YOU GOING? Here’s where you can find out more about tickets. Now, so maybe you’re awesome, but you can’t go, and you’re bummed obviously. Well you still want to participate right? Here’s your chance, from now until June 29th, 2012 you can vote for your favorite books to win UtopYA Con awards, hosted by CMT’s Katie Cook. Pretty sweet right? I know, we think so, too. Books from Birth, along with partner Dolly Parton's Imagination Library, serve as the Convention's community partners. UtopYA will donate $5 from every ticket to the Organization between now and July 5. No designer vintage clothing shop would be complete without a resident specter, especially one housed in a former funeral home. Dante, a “renowned rake” in his day, enjoyed being the token ghost in Madeira Cutler’s shop, Vintage Magic. Maddie, who was psychically gifted, welcomed the company, but when an unusual young woman crossed the threshold of her shop, she needed to focus. Dante was taken aback when he saw a striking resemblance between Paisley Skye and his earthly love, Dolly Sweet. Paisley was enamored with the vintage clothing in Maddie’s shop and brought several pieces of her own in search of answers. Could they hold clues to her past, to her identity? Little did Maddie know that her psychometric gift of reading clothes would plunge her into a world of horror when she touched a small child’s cloak. Her gift, “bestowed by a universe that decides which significant events” she would envision, brought her back through time into the body of a tiny, helpless child. The little girl’s daddy lay before her as his life’s blood began to color the snow with its crimson dye. A man’s hand reached toward her, but then Maddie’s vision unexpectedly ended, leaving her startled and uneasy. Dolly Sweet too was somehow frightened by the mere sight of Paisley and quickly disappeared from Mystic without telling a soul. Paisley began to tell a strange, fragmented tale of her childhood with her Mam and Pap on a secluded island. Disjointed memories of an electric fence surrounding the house, her Bepah, and a so-called Dogpatch Cemetery were haunting. She had come to Mystic after her escape from the island, only carrying a few items of vintage clothing and a photograph. Maddie knew from her vision that she had a possible murder and kidnapping on her hands. Her boyfriend, Special Agent Nick Jaconetti, had helped her before, but this mystery was particularly unsettling. There was a “psychic knowledge” surrounding Paisley that unnerved Maddie. It later became apparent that the only clues to Paisley’s identity and the mystery would be literally found in the graves on a little-known island. Why had Paisley come into Vintage Magic looking for answers? This action-packed paranormal thriller will keep the reader glued to the pages. The theme of a psychic who literally reads the threads of clothing was quite unusual and fascinating. The story exploded into one of international intrigue, well beyond the confines of Vintage Magic, into a mysterious tale replete with a film noire aura. Paisley, who had the air of a little lost princess, was the mysterious thread woven into the tapestry of this mystery. Maddie, a capable sleuth in her own right, was unduly powerful with boyfriend, Nick Jaconetti, and Detective Lytton Werner on board. If you’re up for an explosive paranormal cozy, Madeira Cutler will take you on one heck of a roller coaster ride! Quill says: If you like your cozy mysteries filled with intrigue and touched by the paranormal, Cloaked in Malice will take you into a world you'd never imagine existed! 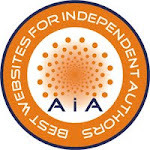 Everyone attending the “International Society of Antique and Vintage Button Collectors” convention was long past playing the game, Button, Button, Who’s Got the Button? That simple MOP, or mother of pearl button, once used in many a childhood game was of high interest at the convention. In fact, such a button could have been one of the fabled Geronimo buttons, something the mere thought of gave Josie Giancola heart palpitations. Geronimo had once sold the very buttons off his shirt and then had sewn another one on in preparation for the next sucker. As chair of the convention Josie had scored a coup when the reclusive Thad Wyant agreed to give the keynote address. Thad, an “expert extraordinaire on Western themed buttons,” would definitely liven up the festivities. Chase Cadell, a rival Western button expert and collector, was livid at the mere thought of Thad on the podium. When the guest speaker actually showed up, Josie would soon regret the designation. Thad, who was allegedly bringing a Geronimo button to the convention, replete with provenance, also brought a little something else along with him...his boorish manners. The “button rockstar” was more like someone who was featured in a B-rated Spaghetti Western as he annoyed everyone in sight. To add to her troubles Josie’s pushy ex, Mitchell “Kaz” Kazlowski took it upon himself to “assist” her at the convention. The only thing Josie and Kaz agreed upon was that Thad was noisy and obnoxious. Daryl Tucker, was trying to buttonhole Josie into dating him. At least one problem would be solved when pestiferous Thad was found lounging in the linen room deader than a mackerel on ice with one of those pilfered awls stuck in his neck. Stan, Josie’s assistant at her shop, the Button Box, quickly chimed in that “talk of murder always adds a little zing to any festivity.” Not. Could Josie solve the murder before things got even uglier and someone else’s lips got buttoned up for good? Josie Giancola and her disastrous button convention will keep readers riveted to the pages. Try as she might, Josie simply could not get a grip on the convention and her supposed frolicking festivities were a flop. I loved the sophisticated air of the mystery, a sophistication that was blown out of the water with the entrance of Thad Wyant, an obnoxious boor. I did learn many interesting tidbits about buttons and the world of button collectors and enjoyed it as Josie teamed up with Detective Nevin Riley to solve this whodunit. The twists and turns and the who’s who of the mystery were as tightly woven as a Chinese puzzle, a puzzle that even the reader will have trouble unraveling. If you love a cozy mystery with a confident, capable sleuth, you’re going to love Josie! Quill says: If you like your mysteries as sharp and sparkling as a mother of pearl button, you'll take a shine to this delightful cozy mystery! Another wonderful group of "cozy" mysteries in for review. Check them out and then stop by our review site soon to read the reviews. Murder on the Half Shelf by Lorna Barrett Stoneham, New Hampshire, is a haven to bookstores, including Tricia’s own mystery shop, Haven’t Got a Clue, but is sadly lacking in bed and breakfasts. Pippa and Jon Comfort’s Sheer Comfort Inn opens its doors to the public in a week and the couple has offered some locals a free night as a trial run. But what should have been a pleasant overnight stay for Tricia becomes a nightmare when she makes two startling discoveries: Pippa’s murdered body in the backyard, and the fact that her husband Jon is actually Harry Tyler, a man Tricia loved—and believed dead—for nearly twenty years. Murder for Choir by Joelle Charbonneau Even as a struggling opera singer, Paige Marshall has never seen anything like the cutthroat competition of the Prospect Glen High School show choir. Coaching these championship-hungry students may be her toughest gig yet...Especially when her best young male singer is suspected of killing the arrogant coach of Prospect Glen's fiercest rival. To clear his name, Paige will have to sort through a chorus of suspects, and go note-for-note with a killer who wants her out of the spotlight for good. Pies and Prejudice by Ellery Adams When the going gets tough, Ella Mae LaFaye bakes pies. So when she catches her husband cheating in New York, she heads back home to Havenwood, Georgia, where she can drown her sorrows in fresh fruit filling and flakey crust. But her pies aren't just delicious. They're having magical effects on the people who eat them--and the public is hungry for more. Discovering her hidden talent for enchantment, Ella Mae makes her own wish come true by opening the Charmed Pie Shoppe. But with her old nemesis Loralyn Gaynor making trouble, and her old crush Hugh Dylan making nice, she has more than pie on her plate, and when Loralyn's fiancé is found dead--killed with Ella Mae's rolling pin--it'll take all her sweet magic to clear her name. Red Velvet Revenge by Jenn McKinlay It may be summertime, but sales at Fairy Tale Cupcakes are below zero--and owners Melanie Cooper and Angie DeLaura are willing to try anything to heat things up. So when local legend Slim Hazard offers them the chance to sell cupcakes at the annual Juniper Pass rodeo, they're determined to rope in a pretty payday! But not everyone at the Juniper Pass is as sweet for Fairy Tale Cupcakes as Slim--including star bull-rider Ty Stokes. Mel and Angie try to steer clear of the cowboy's short fuse, but when his dead body is found face down in the hay, it's a whole different rodeo. With a vengeful murderer on the loose, the ladies are quickly realizing that while they came to save their business, they may have to save themselves--and that's no bull. FQ: First, I'd like to thank you for writing Little Boy Blue and helping shed light on the issue of kill shelters. Now on to our questions! When you first set out to find the truths behind Blue's past, did you have any inkling that you'd be writing a book? My first indication that something was going on was in my vet’s office, when I took Blue for his first checkup after he came home. Obviously no, at that time I had no idea I’d be writing a book. I just wanted to make sure he was healthy. At first I was making phone calls and doing research just to try to figure out his medical history, which was unclear on his paperwork. The initial answers I received only raised more questions in my mind, though, and eventually those questions led me to call my literary agent, Jessica Faust at Bookends, Inc. She has a rescued dog, too, and I asked her if she’d ever heard of anything like this. We quickly realized there might be a great book in Blue’s story if I could get a publisher to let me spend some time reporting in North Carolina, where Blue is from, as well as in other locations where the overall story of rescue led me. FQ: You're a travel writer by trade, and so are used to seeing many different communities. Yet, the Deep South, where you traveled to research this book, is unique. I suspect much of what you saw and encountered (poverty, attitudes) contribute to the pet overpopulation problem. Would you agree with that assessment? There is no question that poverty is part of the problem. Where Blue is from in rural North Carolina, they have a program called the $20 Fix. You can get a voucher and have your dog spayed or neutered for just twenty bucks. Some people can’t even take advantage of that. I met the veterinarian who neutered Blue in the back of her mobile clinic, and she told me that the area where Blue is from is one of the hardest-hit economically. That’s why the mobile clinic goes there to offer the spay/neuter surgeries as part of the $20 Fix, because many residents can’t afford gas money to drive to a veterinarian. Even with service provided locally and those low-cost vouchers, the public is not responding the way that is necessary to get the problem under control. Attitudes in the rural South can also be challenging. Many, many people in Blue’s home state of North Carolina are very good to their dogs and are working hard to save the dogs like him. But this is old tobacco country, and it’s in a state with so many factory farms that a moratorium had to be placed on any more being built. Animals are often treated as livestock, not as pets or as members of the family. That goes for dogs, too. One shelter worker told me that a person brought in a dog covered in mange, fleas, and ticks, trying to “trade in” the dog for a new one instead of getting the dog medical care. Those kinds of attitudes are hard to understand if you’re from a place like my area in New Jersey, where most dogs are treated as members of the family. FQ: When I read about your initial encounter with Ron Shaw, the Animal Control Officer for Person County, North Carolina, I thought, "Wow, that lady isn't afraid of anything." You asked really tough questions and didn't back down. During the encounter, were you a little nervous? I was not nervous at all. Mr. Shaw agreed to speak with me only after I submitted advance questions in writing, and only after the county’s attorney approved a release form that Mr. Shaw signed agreeing to speak with me on the record. So both he and I knew exactly what I would be asking when I arrived at the shelter. He knew many weeks in advance that I wanted to see the gas chamber and the cages where Blue had been abandoned and given three days to live, without so much as a walk. The kill rate at Mr. Shaw’s shelter is quite high—95 percent unless a rescue group steps in—and because of that, it would have been easy for any writer to paint him as a monster. The primary reason I wanted to meet him is that I knew there must be more to the story from his perspective. He welcomed me with a handshake, and he was generous with his time and information. He didn’t strike me as a monster at all, and I tried very hard not to paint him as one in the book. He seemed like a man who has spent more than a decade trying to run a professional shelter in a place where he appears to receive less community support than he needs—and where rescuing dogs has just now started to become a priority, with advocates banging down the shelter doors and demanding change. That’s a huge cultural upheaval from trying to run a shelter where nobody outside cared what happened to the dogs for years and years and years. His perspective is important for readers to understand, too. It’s not something to be afraid of. It’s something to be honest and up front about, which I was. FQ: You don't mince words in your book and you also don't protect anybody you encountered from the truth of what they are doing, when it comes to the welfare of dogs. The chapter where you visit Annie Turner's home comes to mind. Was it a difficult decision to include mention of these people in your book? Every source I visited knew well in advance that I was reporting information for Little Boy Blue, so there was never any question that their quotes and information would be included. I walked around with a pen and notebook in my hand. I even handed out business cards with the book’s title on it. In the case of Annie Turner, I ended up discovering things that I didn’t expect, things that didn’t always match the initial information I’d been given. A journalist’s job is to make sure sources are telling the truth, not just to blindly report whatever they say. I drove all over the country and looked at things with my own eyes. I listened to what the sources told me, I attempted to verify what they said, and when those two things differed, I reported what I could document as the truth. To me, that’s not a difficult decision at all. That’s my job as a journalist, even if it exposes things that some people wish would remain hidden from public view. FQ: You talk about how some states such as Connecticut are passing bills to make it harder for rescue groups to travel North with dogs that have been rescued from kill shelters in the South. Would you tell our readers a little about what's going on? One of the people I interviewed is Kyle Peterson, who runs PETS LLC, a professional transport service that moves rescued dogs from the South to the North. His was one of the first professional transport services in the entire country, so he has historical knowledge as well as first-hand knowledge about how these laws affect the movement of adopted dogs from state to state. Mr. Peterson explained to me that some Northern states are now starting to enact laws and restrictions about the dogs who can be brought in, as a response to the increasing number of adopters who are standing up and offering their homes to dogs like Blue. This is in part a reasonable reaction by the states, since not all rescuers are professional, and nobody wants dogs with communicable diseases being moved all around the country without documentation or care. However, the law in Connecticut has a glaring exception, one that suggests something even more noteworthy is going on. That particular law provides an explicit exemption for anyone who plans to sell a dog in a pet store—most likely, benefitting a breeder. So the law targets rescued mutts like Blue by making it harder for them to be transported into the state to adopters, even if they’re perfectly healthy, while at the same time giving a pass to anyone who sells dogs for profit in the local pet stores. In Peterson’s opinion, the law was passed to protect the purebred puppy business. He explained it to me by saying that adoptions were becoming so popular that rescuers were starting to cut too much into breeders’ market share, so breeders and pet stores looked to state legislators for help. These are the kinds of behind-the-scenes things that I delved into for Little Boy Blue so that readers would understand the bigger picture of what’s going on. Rescue in America today is a huge cultural movement that is continuing to gain steam. With the gas chambers, too, I found things I’d never imagined happening in state legislatures, things that benefitted big business at the expense of dogs like Blue who are just looking for a way out of the shelter and into a loving home. FQ: The attempted, and failed, passage of Davie's Law in North Carolina broke my heart. This bill would have banned gas chambers statewide. Why was this bill opposed by so many groups that allege to have animals? best interest as a core principle? I interviewed rescue advocates as well as legislators in North Carolina and other states on this question, because anti-gas chamber laws have failed in multiple states, most recently I believe in Pennsylvania. They all told me the same thing. Breeders’ organizations, farming organizations, and in some cases veterinary organizations lobby to prevent the laws from being passed. Those organizations are often the reason that gas chambers are still legal in the majority of U.S. states. Breeders don’t want any laws about how dogs must be humanely killed because, for instance with breeders of hunting dogs, they sometimes set the young ones loose and then just let them fend for themselves in the wild if they fail to come back as initially trained. Farming organizations don’t want any laws about humane euthanasia because that mind-set could spread to the factory farms where the majority of our nation’s pork, beef, and chicken originates. Veterinary associations don’t want the laws because, in some cases, it’s the veterinarians who build and get paid to service the gas chambers at the shelters. That was, and remains, the case in the shelter where Blue was found. A veterinarian receives taxpayer dollars out of the budget to service the gas chamber regularly. FQ: You mention never having gone into an animal shelter prior to getting Blue. I suspect this is true for many Americans. How can we encourage people to stop buying from breeders and going to shelters for their next pet? It’s a hard thing, going into a shelter. It’s an emotionally brutal experience. There’s no two ways about that. Going into a rescue group’s facility is far easier on the soul, because at least you know the dogs are not on death row. They’re just in line waiting for the right person to walk through the door. That makes the whole experience far easier for everyone involved. To me, the greatest stride in adoption has been the creation of Petfinder.com (full disclosure: Barron’s is donating a portion of proceeds from Little Boy Blue to the Petfinder Foundation). Petfinder.com is where I found Blue as well as my previous dog. It’s a free website where rescuers upload all the photographs and bios of dogs who have been saved, and you can scroll through and see them from the comfort of your own home. Your kids don’t even have to know you’re doing it, you don’t have to stand in a shelter with them and explain why all the puppies are in cages and screaming—you just scroll down your laptop screen until you see a dog you like, and you click to apply. Even better, many of the rescue groups uploading available puppies and dogs to Petfinder have moved those dogs into foster homes. So the dogs are out of the shelter environment, interacting with other dogs and kids, getting basic crate training and house breaking, receiving proper veterinary care and nutrition, and more. I do foster work now for Lulu’s Rescue, one of the groups that helped to save Blue, and the 14 foster pups who have left my house all had adopters who knew exactly what those dogs were like because I was able to tell them. I’d spent a few days to a few weeks caring for them the same way I care for Blue. I’d gotten to know their personalities, I’d figured out which ones were better with kids or cats or anything else the adopters wanted to know, and so on. All the adopters had to do was click on the bios that I uploaded to Petfinder.com, and they could adopt from Lulu’s Rescue with me as the foster home. Dogs fostered as part of a rescue group’s efforts are often a great solution for anyone who doesn’t want to walk through a shelter, or who used to buy purebreds because they “wanted to know what they were getting.” Fostering eliminates both of those problems. My foster dogs met their families in my grassy back yard or in a local park. The kids love it, the dogs love it, there are usually grown-up men and women with tears of joy in their eyes—everybody wins. I still hear from most of the adopters many months after the dogs go home. They send me photos and thank me profusely, just as I once thanked the rescuers for saving Blue. FQ: "Responsible breeders" will argue that they only breed the best animals and maintain top quality dogs and cats. Thus they keep breeding and many of their own animals wind up in shelters. Is there any way to slow this wave of breeding? My family always had purebred dogs when I was growing up. I write in Little Boy Blue about my parents’ wonderful Doberman, Quincy, who is an AKC blue-ribbon champion (and one of Blue’s favorite playmates). Whenever we sit around the kitchen table, we have this very argument. They tell me that their breeder is responsible and always finds homes for the dogs, and I say stop paying the breeder and go get a dog from the shelter instead. I always point out to the backyard where Quincy and Blue are both playing beautifully, and I always mention how Blue was a steal at $400 while Quincy cost far, far more. 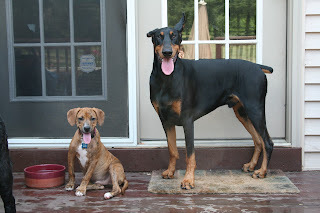 No way, I say, is one dog “better” than the other. They are both absolutely fantastic members of our family, a point on which my entire family agrees. This kitchen-table argument with my parents is no different than the big-picture question about dogs in America today. How is it possible that we have a billion-dollar-a-year breeder industry at the same time we are killing as many as 14,000 animals like Blue every day in our shelters? It’s just mind-boggling. It really has very little to do with the dogs. It has to do with marketing. Many, many generations of Americans have been raised to believe that purebreds are better and worth paying more for—and it’s simply not true in my opinion. You will never see a mandatory spay/neuter law or anything like that that imposes change on the dog-breeding business. What you may see, though, is slowing demand for dogs who are bred for sale. The more people become educated and choose to adopt, the fewer people will be available to breeders as customers. As with any business, if you run out of customers, you have to shut the door and go find something else to do for a living. We have it within our power to solve this problem today. If more people adopt, at least until the killing in the shelters is stopped, then the breeders will be at least temporarily forced out of business while the problem is brought under control. FQ: What can our readers do to help? How can they get involved? We have a whole section at the end of Little Boy Blue that gives readers options for helping to break the cycle of dog homelessness. We wanted to make sure we weren’t just exposing the problem, but instead offering everyday solutions for readers who want to stand up and try to help. Number one: education. I don’t care if you give your copy of Little Boy Blue to 15 or 20 people without me seeing a dime in royalties as the author. Pass the book along. Help people understand what’s happening. Change begins with education. Number two: spay or neuter your pet. 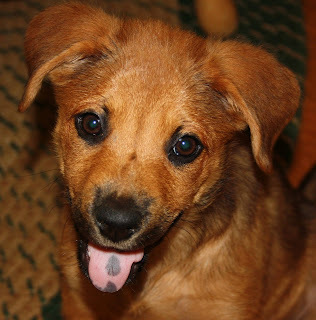 The majority of puppies in Blue’s shelter were not strays. 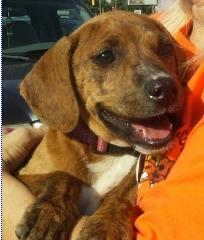 They were from unwanted litters created after human beings failed to spay or neuter their pets. Your pet is your responsibility, and spay/neuter is part of that responsibility. Number three: if you choose to bring a dog into your home, adopt. Never, ever buy from a breeder or from a pet store. You may feel like you’re helping that one dog in the store window, but ultimately you are voting with your pocketbook to keep those businesses going. Instead, vote with your pocketbook to help dogs like Blue get off of death row. 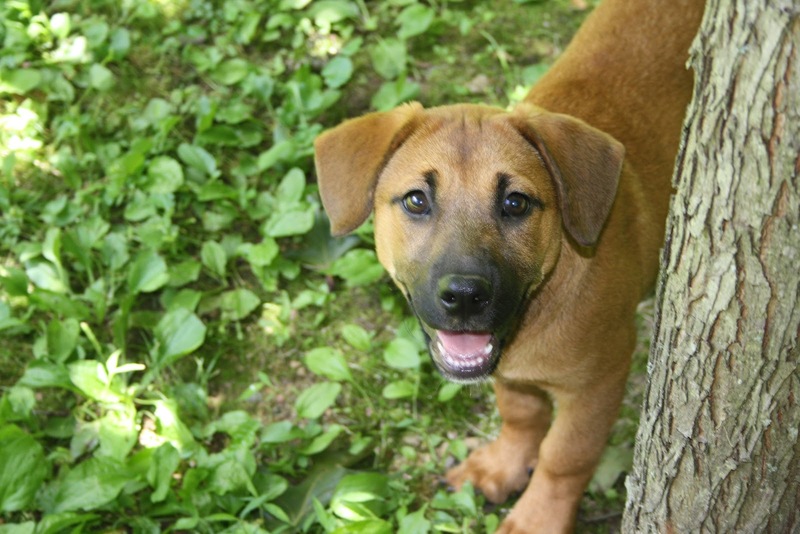 Number four: if you’re not ready to have a dog full-time, then consider fostering. The number of dogs that rescues can pull from the shelters is directly correlated to the number of foster homes where they can stay while homes are found. I personally have foster dogs number 15 and 16 at my feet right now. Their names are Dumpling and Ginger, and they are taking naps with Blue on the floor as I type. That means that in less than a year after learning about these problems, I have helped to save 16 extra dogs who would otherwise be dead, many of them in gas chambers. If I can do it, anybody can do it. And Blue really loves having the playmates around, too. Fostering is a wonderful way to give your own dog a live-in playmate once in a while without committing to owning a second dog. Number five: donate. It doesn’t have to be money. It can be dog food, old towels and blankets, old collars and leashes—rescues need all of these things to get the dogs out of the shelters. Rescues also need volunteers to meet the dogs on transport days, write dog bios on Petfinder.com, walk the dogs at adoption events, solicit local business for gift cards to auction off at fund-raisers; the list goes on and on. Find a local 501(c)3 rescue group in your area that is actually saving dogs’ lives. Ask how many they’ve saved and how they do it. If they are legitimate, then become involved however you feel comfortable. I can’t tell you how rewarding it is to help these dogs who were once destined to be killed just like my boy Blue. The puppy kisses alone, from those angels no longer on death row, are all the thanks I’ll ever need. To learn more about Little Boy Blue: A Puppy's Rescue from Death Row and His Owner's Journey for Truth please read the review at: Feathered Quill Book Reviews. Henry Hansen is very excited. The sixth grader is about to head off for school and, because it's the last day of the school year, and he's had perfect attendance, that means he will get the 'Perfect Attendance Award.' What an honor! But things don't always go as planned and today is going to be one of those days. Henry and his younger brother Eugene live with their mother in a small house not far from school. When their father died, not long ago, Uncle Bill moved in which helped Mom pay the bills. Uncle Bill also helps the kids here and there, including promising to make the garlic bread for Eugene's fourth grade picnic. But when "UB," who works a night shift, fails to show up before the kids leave for school, Eugene is quite upset. How will he get the garlic bread for the picnic? Will he be the only one who fails to bring in a dish to share with the class? On the way to school, all Eugene can talk about is the missing bread. Henry realizes that he has a difficult decision to make - attend class and get his award, or help his little brother by sneaking off and making the bread himself. Henry thinks about what his dad, his mom, and his friend Gracie would do. He wanted some advice! Once they arrive at school, Henry decides to send his brother off to class and then go off to make the bread. He's about to start a day he won't soon forget. After getting some cash from home, Henry sets off to several stores to get the ingredients for the bread. Each storeowner is happy to help Henry and they all refuse his money. It is an important lesson for Henry. But then, on the way back home to prepare the bread, a police car pulls over. There has been a young shoplifter making the rounds of local stores and without receipts for the items in his backpack, it looks like Henry is about to be in a load of trouble. Henry learns a lot about himself and others on the last day of school; a day when he should have been in school. Friends, neighbors, school staff, and other kids all have something to teach Henry as he does his best to come to his brother's rescue. While the pace of the story gets a bit slow in places, overall it should keep young readers interested in learning whether there will be garlic bread for the picnic and if there is any way Henry can get that much sought after pin for perfect attendance. Quill says: A sweet story about growing up that gently teaches life lessons. In the wide expanse of a secluded valley on the Arizona-Mexico border, the slow, quiet ranching life is lived alongside the cutthroat dealings of drug cartels. The beauty of the land, “hills…rounded and piled up against the mountains like waves, an ocean of land frozen in mid-motion, spattered with squat junipers and troughs of purple grass,” (pg. 13) hides a network of caves that house dangerous criminals. When rancher Ty McNeil finds himself raising the daughter of a cartel leader, the simple life that he has carefully constructed out of nothing is jeopardized. But through the trials that he faces, this self-contained loner will find the true meaning of love and family. After the death of his mother, Ty spent his childhood with his father on the rodeo circuit, moving from city to city and living in their trailer. As an adult, he has come to love the rodeo life so much that he sacrificed his marriage for it, wandering the country alone after his father died. But at the age of thirty, Ty has a moment of epiphany in the heat of a wild ride in which he realizes that he is done with the rodeo. With no clue what his future will hold, he returns to the decrepit ranch that he inherited from his father. He begins to repair the place, all the time doubting his impulsive decision to quit, until one day a girl shows up on his porch to weather a storm. Filthy, bleeding, and pregnant, Mana speaks no English and appears to be an illegal immigrant, and Ty risks a lot in sheltering her but is reluctant to turn her in. He finds out that she is the slave of the dangerous Mexican drug dealer Blanco, who is also the father of her child. Mana shows no interest in her daughter after she is born, and it falls to Ty to care for the infant. He fumbles his way along with the help of his neighbors and longtime friends Ware and Suzanne Lewis, inevitably falling in love with little Lita and caring for her as his own. Mana disappears after regaining her strength, and Ty thinks she is out of the picture for good. He builds a family of his own with Lita, the Lewises, his girlfriend Claire, his ex-wife Lisa and their son CJ, and lives a quiet life working ranches. But the eventual reappearance of Mana and Blanco causes problems that force members of Ty’s family to protect Lita through extreme measures that will haunt them all for years to come. Through the struggles between Lita’s blood relatives and the people whom she and Ty truly care for, Heart’s Blood explores in depth the meaning of friends, family, and love. The effects of the Mexican drug trade and the US immigration policy on the lives of everyday people are also portrayed. For a fairly short book, Heart’s Blood spans a great length of time without sacrificing depth or character development through Zinn’s expert choices of scenes and detail. The plot unfolds as gently as the sprawling grasslands and rolling hills of the Arizona landscape that she depicts in stunning detail. Despite its dangers and problems, Ty’s world is a lovely place to become immersed in, quiet and simple, yet warm and deep and full of love. 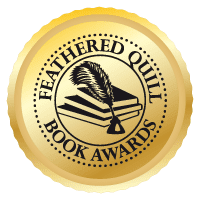 Quill Says: A beautiful, thoughtful novel in which ties of love and blood vie for supremacy against a backdrop of lush scenery and honest lives. FQ: Your writing style is lovely. Your bio says that you studied under some big names in writing and literature, and it really shows in your book. Is there any advice from your teachers that you feel has been most helpful to you that you would like to pass on to other writers? Thank you! I like to think of making music when I write and it pleases me no end when someone responds to that. Yes, I was lucky to study with wonderful teachers, although at the time I was making my living as a musician and taking these courses for pleasure more than training to be a writer. And yet, when I began to write full time, the things I learned came back, especially admonitions about being too wordy, too descriptive. We need to let our readers work, to imagine things and form their own conclusions – to connect the dots we carefully leave, like trails of breadcrumbs. We mustn’t do all the work for them! And another thing I took away from my wonderful teachers was the simple love of reading, of enjoying a beautifully crafted line, an intriguing story. So much of what is out there today is cheap and shallow and meaningless. Writers need to immerse themselves in truly fine writing and learn from its cadence and rhythm and content. Some of the modern day gurus warn against this, claiming that reading too many great works will keep us from finding our own voice. I think it’s the opposite! FQ: You tackle some serious issues in this book, such as the drug trade, human trafficking, and immigration laws. Living so close to the border in southern Arizona, have you witnessed the effects of these issues firsthand? Given the current debates about immigration laws, are there specific messages that you would like to give to those of us further removed from their effects? For those of us living on the border, these things you mention are in our face constantly, every day. We are run off the road by armies of Border Patrol vehicles, we see small groups of people being detained on the roadside, we find water bottles and backpacks on our land, along with mounds of trash in those places that are the ‘highways’ for crossers. Occasionally there are murders uncomfortably close; neighbors come across the bodies of people who died of exhaustion or thirst. But we stay because it is still beautiful here, and it is home. The issues are so complex and so political that it is difficult to boil it all down into coherent messages. The national and state efforts to grapple with the ‘immigration problem’ are hopelessly political and largely based on questionable facts or downright lies. And the so-called solutions tend to be clumsy and heavy-handed and more harmful than the problem itself. For me, the human side is all that really matters, the individual stories of the people who keep crossing to find a better life. The drug and human traffickers are thugs and criminals. But those who cross to look for jobs are unbelievably brave and hardworking and their lives are often tragic. Mana was a real person I met, and she became the impetus for the story in Heart’s Blood. And many of the incidents I described - such as the crossers who stole food and clothing but stayed long enough to finish a tile job! – are true happenings, drawn from local lore. FQ: I really liked the relationship of Ty and Claire, how both of them were complete in themselves and were just happy to enjoy each other. Was their relationship dictated by the nature of Ty’s character, or is this your idea of an ideal relationship? I think Ty’s and Claire’s relationship is a product of Ty’s reticent character more than anything. He is lucky enough to meet a woman like Claire, almost as independent as himself, and so their connection works for both of them. I tried to make the point from the very first scene, where he watches his mother’s burial, of how alone and isolated he is. Lita is really the only person able to get inside that protective shell. And no, his relationship with Claire is not my idea of an ideal one; I’d like to see a little more intimacy, as reflected in the relationship of Lita and CJ. FQ: Ty and Lita’s relationship was central to the story, and their problems, especially during her teenage years, showed how strong the bond was that kept them together. Did you have help in writing these scenes from your own experience of raising two daughters? Oh yes! How did you know?? And I drew on my own experience as an absolutely obnoxious and self-absorbed little snot during my teen years. FQ: You explore the idea of blood ties versus emotional ties very thoroughly through all the different relationships in the story. What made you want to write about this in the first place? As I said, Mana was the genesis of the story, and once she and Ty and Lita came to life, their relationships to each other and to the other characters in the book naturally revolved around blood ties versus emotional ties. CJ illustrates this tension more than anyone else, being Ty’s natural son but unable to have a comfortable relationship with him because of his unwavering loyalty to Charlie, his adoptive father. I didn’t start out wanting to write about this issue, though. It grew naturally out of the characters’ stories as they unfolded. The other big theme in the book is that of secrets! Secrets kept, secrets told, good ones, bad ones, sad ones. Lita ends up being the guardian of most of the secrets and it is a heavy burden for her at times. FQ: Your bio mentions your novel Dancer, which shares some characters with Heart’s Blood. However, I couldn’t find it on either Amazon or your website. Is there a way to get a copy for those of us who enjoyed Heart’s Blood and want to read more? Thank you for asking! Dancer is my favorite of the four books I’ve written, but is not published yet. It shares some of the characters in Heart’s Blood and is set in the same locale – here in southern Arizona. When it is available I will post it on the web site: www.ezinnbooks.com. FQ: Touring as a professional musician must have been a phenomenal experience. What were your favorite things about it? Do you still perform? Touring was a phenomenal experience! Our quartet, the Sonora Quartet, did a lot of touring throughout Mexico and the West, including the Indian reservations. Our venues ranged from tiny, shabby rooms to grand Baroque concert halls, and every experience was new and wonderful. I loved meeting the people wherever we went, especially in Mexico. I loved driving though the countrysides and seeing places I’d never imagined, eating exotic foods, sleeping in different beds each night, leaving my ‘real life’ behind for a few weeks. These were some of the richest experiences of my life. And no, I don’t perform any more. I’ve closed that door in order to open new ones. Though I still do practice in my sleep – run scales, play sonatas all the way through, hit wrong notes and go back to correct them. I guess if you’ve spent your entire life making music you can’t leave it completely behind. 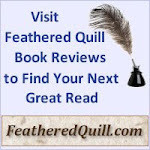 To learn more about Heart's Blood please read the review at: Feathered Quill Book Reviews.